Of course, this change in stance to the popular stag do has ensured the groom is at least rosy for his big day – as the event takes place weeks before the ceremony. These are no longer just a one-night booze up either. Instead, stag dos span multiple days and nights – often spiralling into a long weekend and on many occasions taken abroad or elsewhere in the UK to your hometown. There’s also the dual stag do, designed to appease to all. A celebration in the UK taking place over the day and night, before only the brave embark on a short trip to Amsterdam, Prague, Budapest or any other European city of your choice. One thing’s for sure with the stag do – It’s going to be memorable, no matter what you get up to. With that said, there are some fantastic activities you can find in the UK, to get your stag’s festivities off to the perfect start. From go karting and paintballing, to clay pigeon shooting and bubble football, there’s something for everyone and a chance for all to get involved with and enjoy. 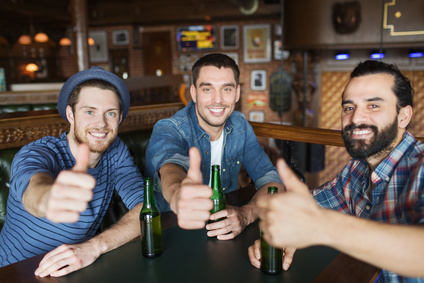 If you’re planning an event, take a look at the top seven stag do activities for 2015. This is certainly a favourite pastime for men and gives you a chance to whizz around a circuit for a few hours at blistering speeds, whilst racing your mates. You’ve probably had the debate before of who’s the best driver and go karting gives you the opportunity to settle this once and for all. What’s more, there are loads of go karting venues all over the UK, including a very popular indoor circuit in London. Stag do attendees of all ages can enjoy go karting and it’s a great pre-night out activity. Into football? How about trying to score a goal when trapped inside a massive ball – Whilst being bounced from side to side by the opposition? One thing’s for sure, there’s no such thing as tika taka when it comes to bubble football and instead you’ll always be conscious of a bump at any minute. Once the football has been worn out, you’ll even find yourself playing games such as bulldog and last man standing. Just be prepared for a few bruises in the morning! Quad biking gives you a chance to escape the restraints of a go-kart and get out and around the countryside with your mates. At Outdoor Pursuits you can enjoy Kent’s Garden of England with a 150cc quad bike – superb for off-roading and highly versatile. The quad bikes are easy to get to grips with too, so it won’t be long before you’re whizzing off along the beaten track and taking on the tough terrain of our course. This is a fantastic activity for all ages to enjoy and we’re sure you’ll be back time and time again. There’s nothing like the invigorating experience of paintball to get the blood pumping and your heart racing. Combat various courses designed by the former world number one paintball player and conquer the game types with the help of your teammates. For stag dos this is an excellent day out and there’s even the opportunity to inflict further punishment on the groom-to-be; by dressing him up in a white rabbit costume and have him parade around the setting with high visibility. Paintball is enjoyed by all and once you’ve experienced the thrill of this once, you’re sure to return. When organising a stag do, why not take on an activity you’ve never done before? It’s certainly the perfect time to explore something new and the sport of clay pigeon shooting is one you’ll enjoy from the first shot to the last. Clay shooting involves firing at discs, released on your command. Depending on how good you are, these can be released singularly on in pairs. At Outdoor Pursuits you’ll have the help and guidance of a qualified coach, to ensure everyone enjoys the experience and is able to knock discs out of the sky. For one of the ultimate thrills, many stag do parties are turning to hovercrafting. If you’re up for adrenaline filled adventure, this is the activity for you and at Outdoor Pursuits you can take advantage of our Flying Fish Snapper hovercraft. To get you started and used to the experience you’ll begin the day on land, before turning to mud and water with your newfound skills. There’s nothing too strenuous involved too, so you’ll have plenty of energy for the night ahead as well. Have you watched the show on TV presented by Richard Hammond? Contestants take on an assault course over water, jumping between massive red balls and battling tough obstacles on their journey to the finish line. You don’t just have to appear on the game show to have a go now, with venues around the UK offering this exclusive opportunity. If you’re after an intense stag do experience, this is certainly to be considered and one thing’s for sure – you’re going to get wet. If you’re a best man planning the stag do, or the groom arranging a final hurrah before the big day, the activities listed above are perfect for seeing you off in style. Whether you’re staying in the UK throughout, or anticipate a European adventure afterwards, give one of these great days out a go before hitting the town to drink and celebrate the night away.